Perfectly situated on a large flat private estate of over 10,000m2 (4 Acres) in an exclusive residential area just 2km to Benissa Town. This country house constructed 8 years ago is built with a contemporary design and quality construction and architect´s plans can be made available to show the possibility of further extending the property on the second floor. This property occupies a stunning private and secure site, affording total privacy in extensive established gardens with an array of stocked flowers, fruit trees, palms, shrubs and grounds with fenced boundaries. Approached via a private, sweeping driveway and enjoying all the charm and luxury this secluded setting brings, electric gates with entry system provide access. There is an extensive turning and parking area to the rear of the house and an area of 3000m2 available to accommodate stables and riding paddock. There is a particularly attractive terrace with an array of covered and uncovered seating areas. 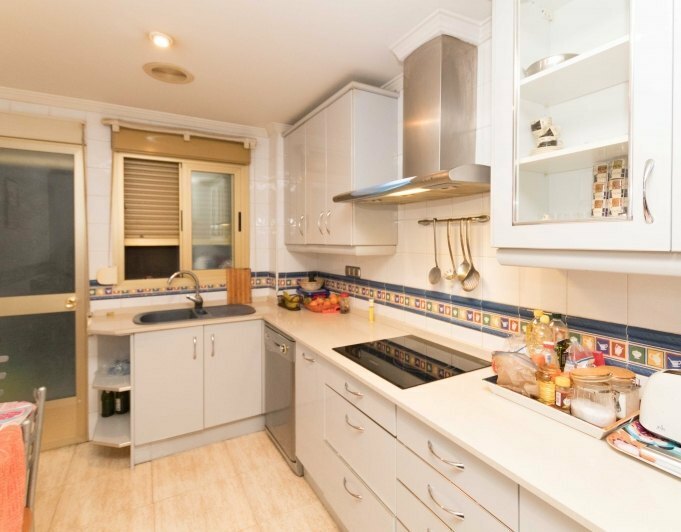 A kitchen/bar is fully equipped with bbq and fridge freezer and perfectly situated next to the swimming pool. The property boasts a full size hard surface tennis court and a private16 x 5 mtr swimming pool with jacuzzi, gently sloping from a water depth of just 5cm, giving easy access. Preinstallation is available for solar panels or heat pump. Beach sand volley ball and petanque court are in an elevated position capturing the best of the countryside views . Using a separate access but within the grounds is a conveniently situated storage unit. The accommodation is cleverly arranged over two levels, open plan with a contemporary flow throughout. 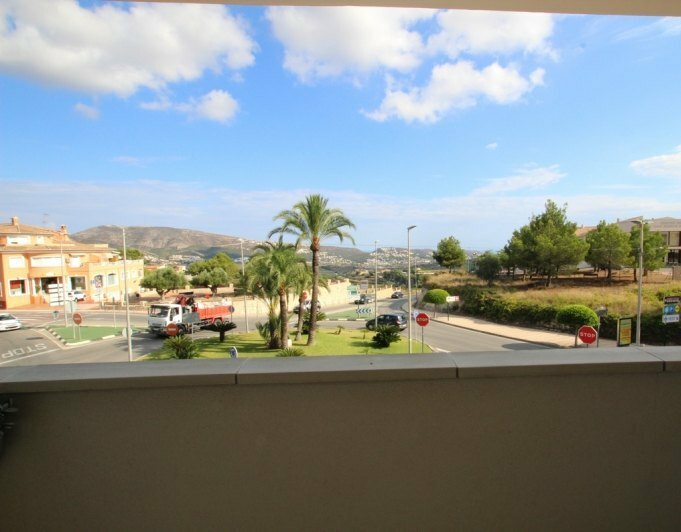 On the first level the property has a very spacious brand new fully fitted kitchen with central island and includes A++ Integrated Appliances. Leading from the kitchen is an open court yard with garden views. In an openplan arrangement the kitchen leads to the sitting room providing a relaxed space with a wood burner fireplace. A large warm and welcoming sunroom with patio doors and superb country views, accommodates a 10 seater dining table. A snug area leads to the right with office space and country views. A generous master bedroom with ensuite bathroom is also located on this floor. Patio doors give directaccess to the swimming pool and outside terraces. A sweeping tosca staircase to the next level presents a further sitting room, 4 generous size bedrooms allensuite and two with large dressing rooms. A further room is located on this floor and can be used as anadditional bedroom or gymnasium. A small closet beneath the staircase is a handy storage area. The property has been carefully designed capturing the views from every room and offers a wonderfully stylish design and décor throughout. 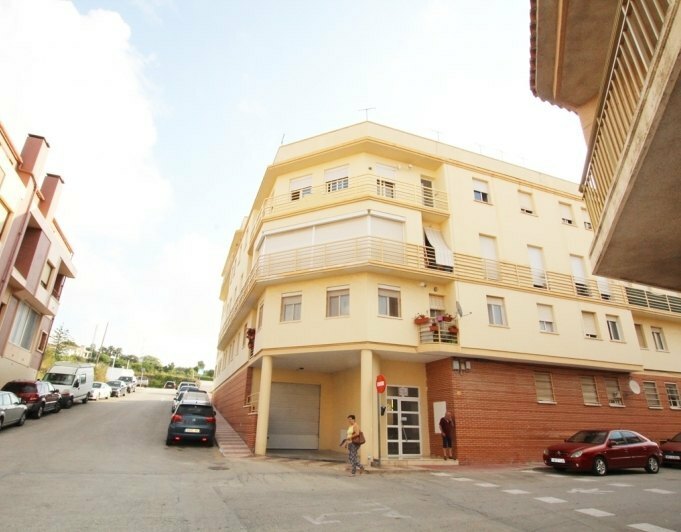 The property is only minutes away from the natural beauty of the Mediterranean coastline in an area full of cliffs with excellent viewpoints. This stunning property is currently being extending with Two additional buildings to the rear of the house both with an extra build size of 60m2 per building. One will be a fully equipped gym with a beauty room attached and the other will be a yoga studio. There is also extensive landscaping being carried out to the same rear area of the property. The owners are also waiting for permission to increase the size of the house and hope to start this end of September. The plan is to remove the roof and add another level adding a further 3 ensuite bedrooms, increasing the size by 100m2 Features include private tennis court, swimming pool, air conditioning, central heating, wood burner, satellite tv and high speed internet. A closer inspection is essential to appreciate the setting and standard of this home. Floor plans available. 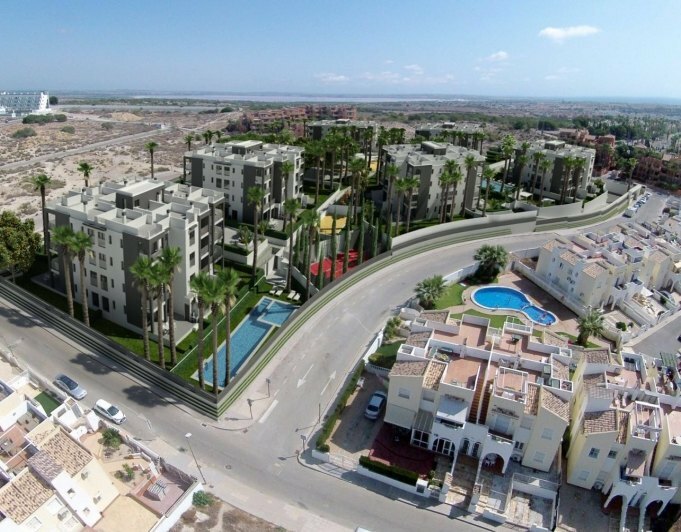 This new development of apartments is set on top of one of the best Golf Courses from the Torrevieja region, with open views and a great location. 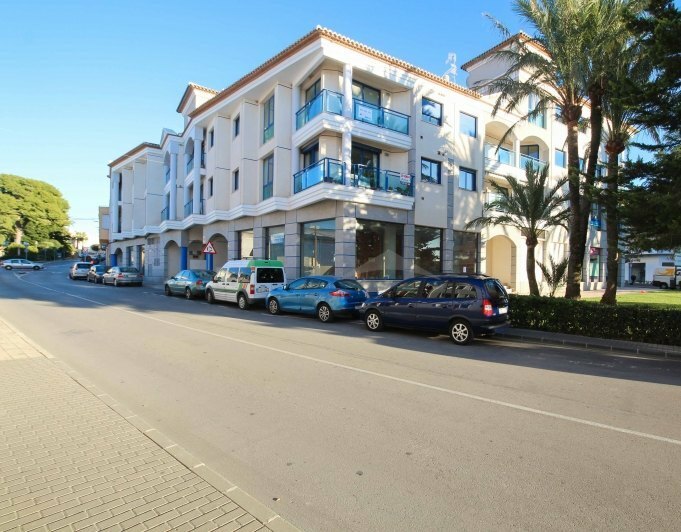 Apartments have been finished to a very high standard and accomodate 2 bedrooms, 2 bathrooms, open plan fully equipped kitchen and spacious terraces. 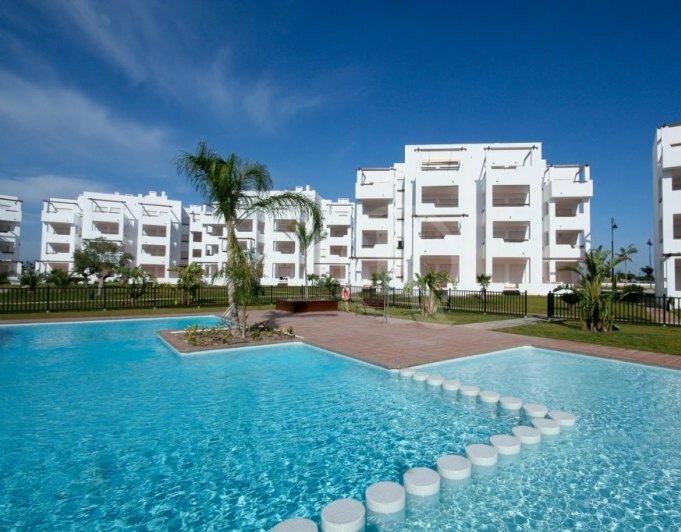 This beautiful gated complex is currently being built only a short distance from the Villamartin Golf Resort, close to Torrevieja and its sandy beaches. 18 apartments are still available with a starting price of 115.000 for a 1 bedroomed 63.55m2 ground floor apartment to 155.000 for a 75.99m2 penthouse with a private 30.15m2 roof terrace.All properties come with preinstallation for ducted airconditioning hot and cold, underfloor heating in the bathrooms, security glazing and tot quality finishings.The complex has communal entretainment areas, communal pool and underground parking spaces. 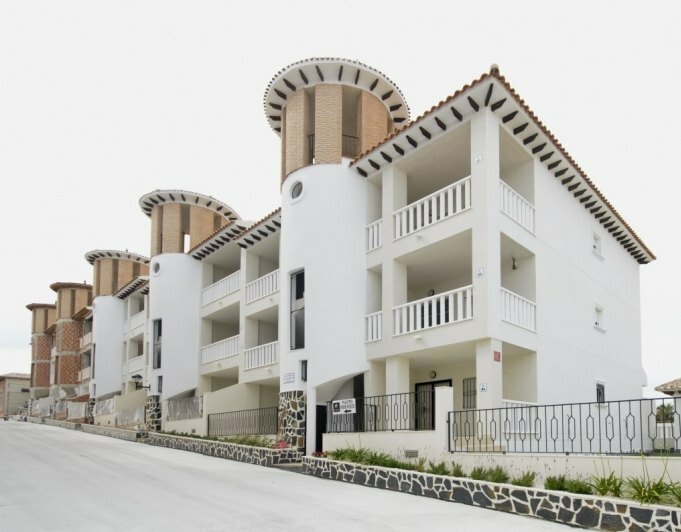 This beautiful new complex is located right on the El Pinet Beach area of Torrevieja, just a few meters to the mediterranean sea. 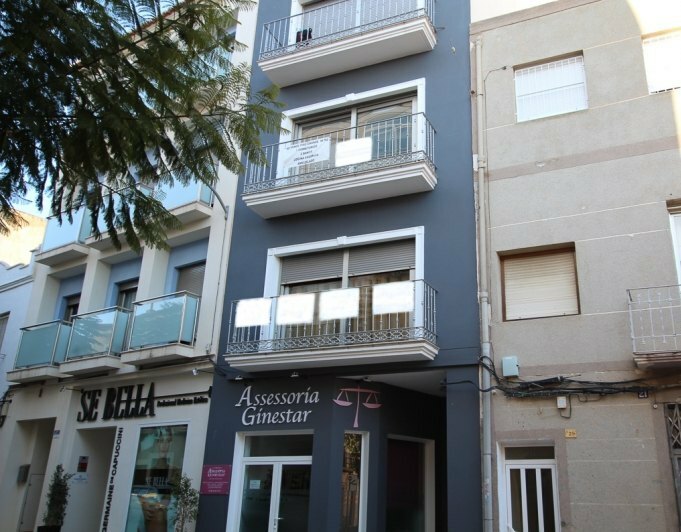 Built with top quality finishings these apartments are ready to move in and also offer you the possibility of purchasing a furniture package.Prices go from 99.000€ for a 69.62m2 1 bedroomed apartment to 145.000 for a 75.35m2 penthouse apartment. 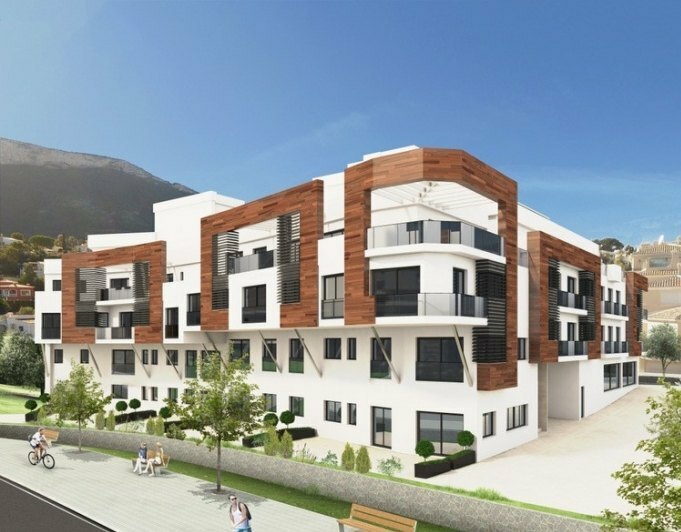 All apartments benefit of preinstallation for ducted airconditioning hot and cold, community pool and proximity to the beach. 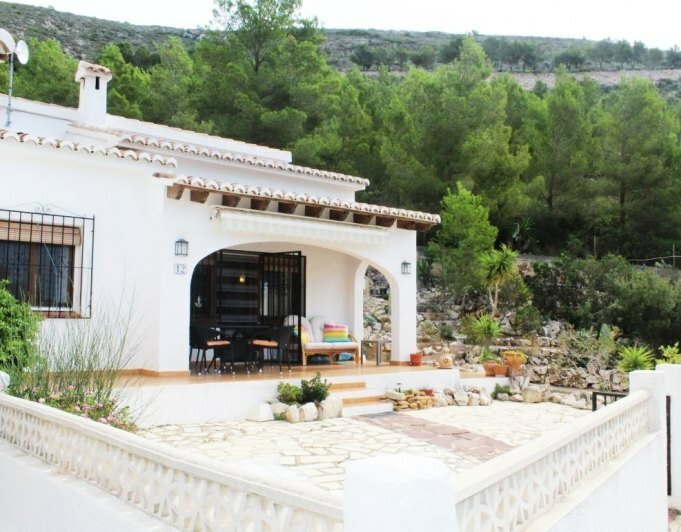 This beautiful semidetached property is set within a small development of 8 properties close to the village of Alcalali, in the Jalon Valley. Accomodation is set all on one level and it comprises an entrance porche area (open naya) which leads in to the open plan living/dining room, open kitchen, 2 double bedrooms with fitted wardrobes and 1 family bathroom. The property benefits of its own private garden, access to a communal pool which is shared by only 4 properties, parking, double glazed windows and south facing location. 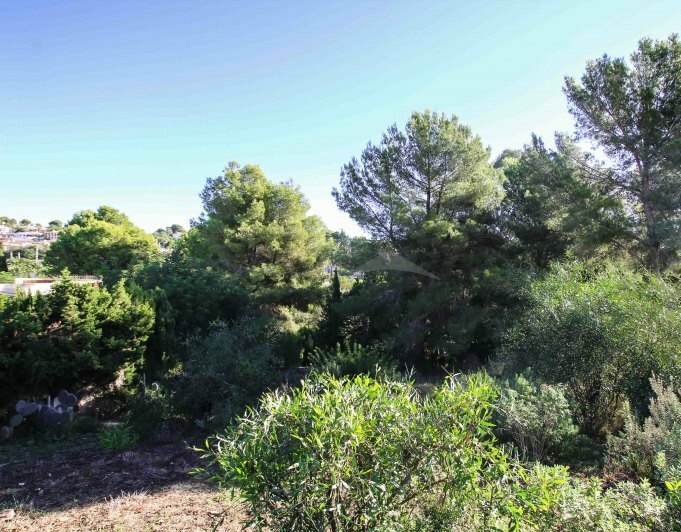 This beautiful plot of land is located within the area of Baladrar in Benissa Costa, only a short distance from San Jaime Golf Course and all amenities. The land is nearly flat and benefits of some nice green open views, the road where it is set has recently been renovated. Total surface is around 700m2 and there is an option of purchasing an additional bit of land.